On Monday’s Mark Levin Show, What is white privilege? In America we must work hard to earn what we have and for that which we inherit, we must work hard to maintain it. Why aren’t there any Islamic senior executives at CNN? After all, Jeff Zucker is white and is benefiting from white privilege so he should resign. The media should spread C.R.A.P. (Caucasians Rejecting Anglo Privilege) all over their industry. Just like Beto O’Rourke did when he apologetically noted that he’s benefited from privileges that others may not have had. According to this logic, all candidates vying for the 2020 Democrat nomination should step aside if they are white and straight. 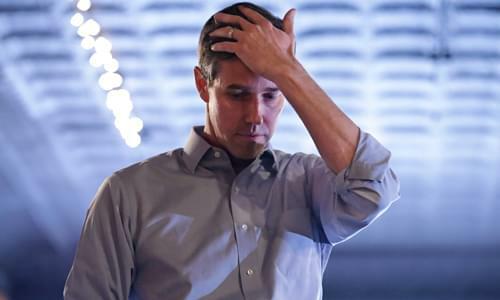 Seriously, though, it’s a shame that we are even giving any voice to such pathetic commentary—O’Rourke’s remorse over being straight, white, and married. Then, Democrats keep tearing away at the fabric of America and they just keep getting bigger and bigger with help from the propagandist media. Some Republicans have proposed a new plan using Social Security funds to pay for Paid Family Leave. The obvious problem here is that Social Security doesn’t have the funds so what they need is a plan to save Social Security, first. Later, Rep’s. Ilhan Omar and Rashida Tlaib need to know that there is a difference between patriotic Muslims and radical Islamists who hate Israel. They are so unabashed that the Democratic Party can’t even correct their anti-Semitic tropes.